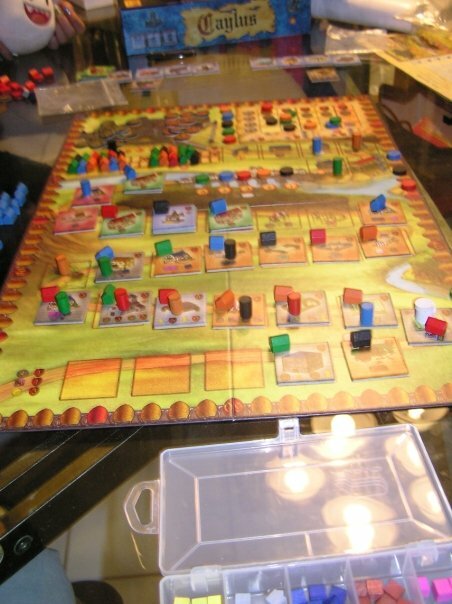 Note: Post contains pictures of a game in progress and a game at its end. 20100525 Stephanie (Red)(73) Josh (Gr)(93) Me (Bl)(71). Josh won. Check out the Caylus page at BoardGameGeek.org. Deducing from the above two pictures, near the end of the game I was furthest ahead and Josh trailed behind me. The other three are clumped together a way behind Josh. Though that was the case near the end of the game, its possible things could have swung to another player by game's end. I'd say there would have been a 50% chance that I won this game, 40% chance that Josh won it, and a 10% chance that somebody else won it. We played from about 11 to 1. The three-player game is pretty fun. I thought things went more smoothly. 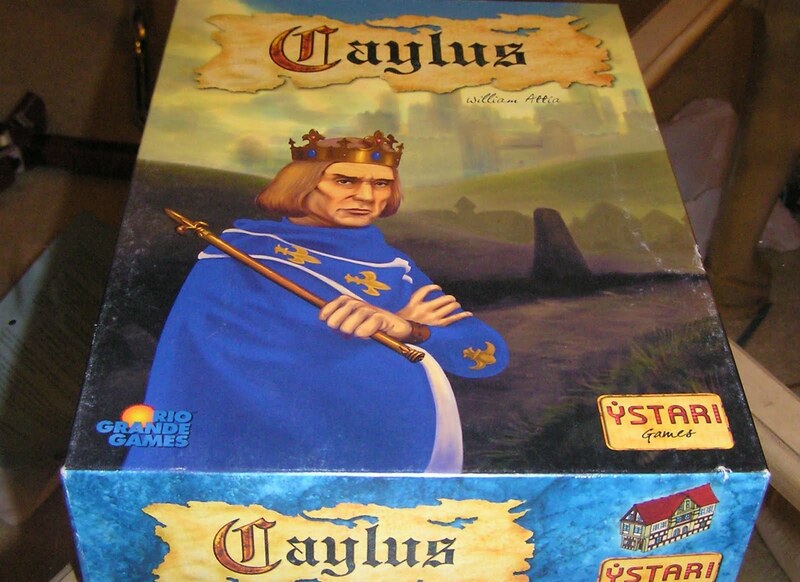 In fact, BoardGameGeek has Caylus as being best with three players. I was also playing much more casually than I usually do. In fact, I've been playing a lot of games much more casually. Reasons? 1) While taking time to think might lead to better decisions and winning, it causes other players to become bored. Thus, I am attempting to quicken my game decision-making skills in order to make the games more enjoyable for the players around me, and hence myself. 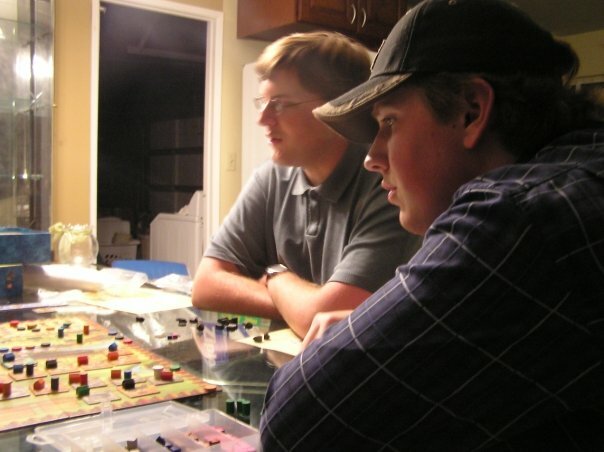 2) Doing math requires thinking, and so its nice to play a game and not think too much. 3) There's a new aspect to playing games that doesn't matter whether I win or lose a game, and that's blogging about them.